President Donald Trump threatened to halt federal aid to Honduras on Tuesday in response to a caravan of migrants making its way to the United States to claim asylum. 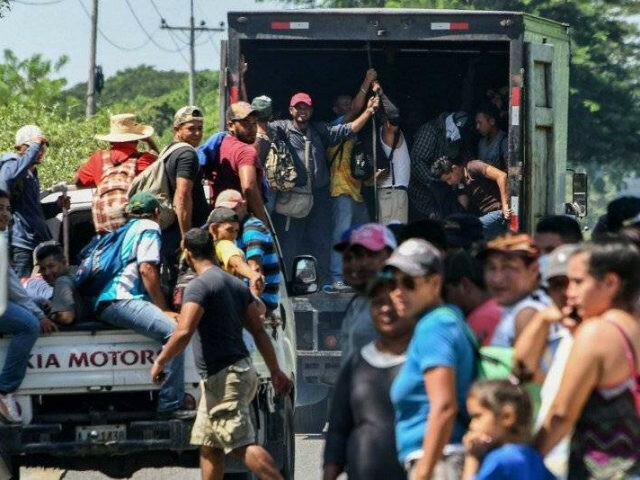 The caravan of Hondurans has already crossed into Guatemala, increasing in size as the group grew from 160 to an estimated 2,000 by Monday, according to the Associated Press. The caravan began traveling from Honduras after Vice President Mike Pence urged the governments of Honduras, El Salvador, and Guatemala to keep their citizens in place. “Tell your people: Don’t put your families at risk by taking the dangerous journey north to attempt to enter the United States illegally,” he said last week during a speech in Washington, DC. U.S. law allows migrants fleeing violence to claim asylum at the border. President Trump has expressed frustration with Democrats for refusing to reform immigration laws, a critical political issue in the midterm elections.